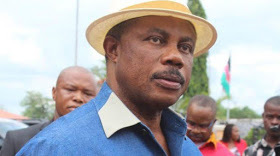 A senior special adviser to the Governor of Anambra State, Chief Willie Obiano, on audiovisual production, Hon. Randy Chima, 57, is dead. He was reportedly dead a few days ago on his Nwakpodulu Avenue in Awka, the state capital of Anambra. According to the police report, the death of SSA was reported to Division B, Awka, including a 57-year-old man from Nwakpodulu Avenue in Awka who slept the night before and did not open his home. door the next day. When the door was finally forced after several blows from her neighbors, her lifeless body was found lying on the bed. Following the report, police detectives attached to Division B, led by the Anti-Doping Controller, visited the scene, photographed the victim and transported him to Chukwuemeka Odumegwu Ojukwu University Hospital.